It’s been a busy week. I’ve gotten the chance to take the week off of work, stay home, relax, watch a bunch of movies and it’s been good. There’s also been a bit of news in the realm of superhero TV though I won’t cover all of it here. The thing that impacts this site the most is that Constantine now has the sword of Damocles hanging over its head. It’s currently the lowest rated comic book related show out there and hasn’t held on to Grimm’s ratings very well. It had a nice bump last week, but before those numbers came out the order was given that NBC will not give it a full season run. 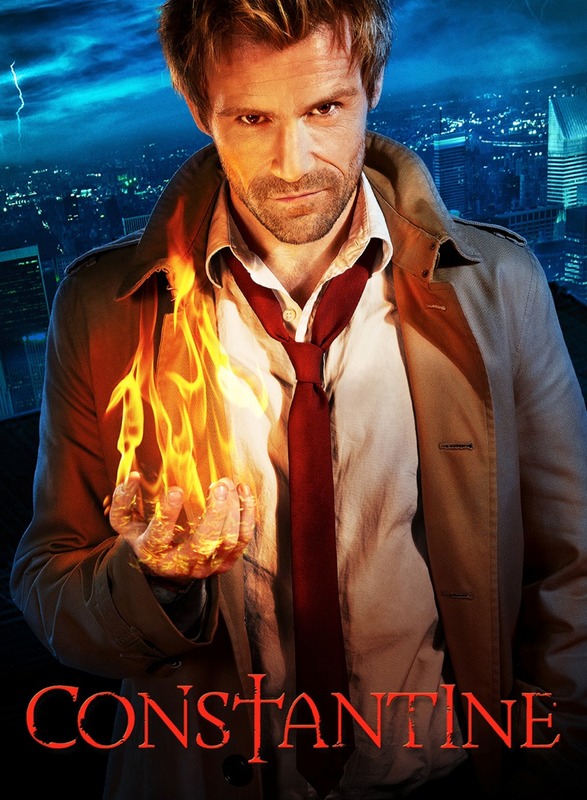 Instead Constantine will only get 13 episodes which makes getting a second season much more unlikely. 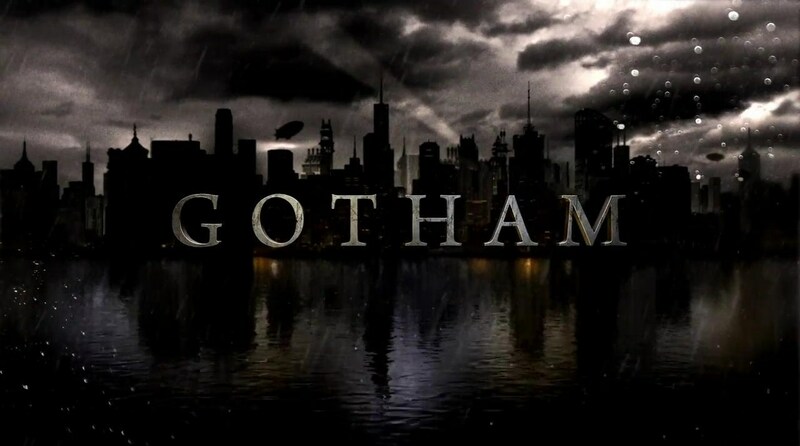 Which is disappointing, even though it’s still early in its run, I have liked it better than Gotham. But it hasn’t done a whole lot to wow me aside from the Feast of Souls episode. Also, if you haven’t heard yet, I am planning on expanding this feature into a full fledged site and am looking for contributors so please check it out! And as always, I would like to thank Rachel Thuro for tackling this week’s The Walking Dead. We’re back to showing the whole gang in one episode, just not reunited yet. So there was a lot of jumping around and keeping up. And yet, not much happened. These are the episodes that I find lacking: the “stepping stones” to something big. 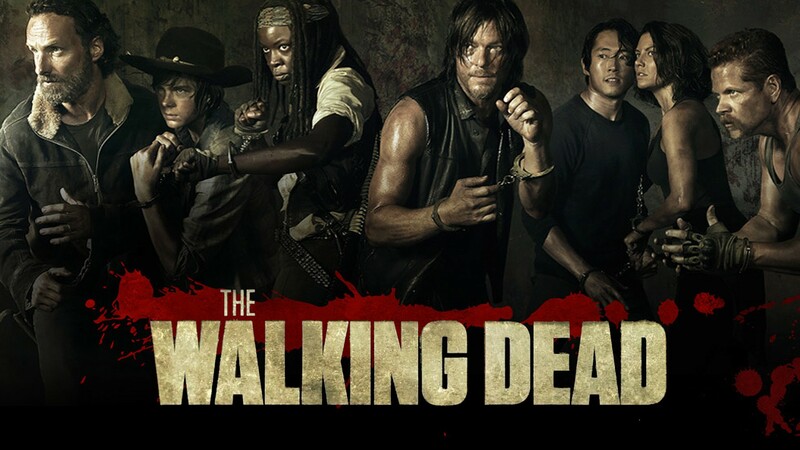 Rick, Sasha, Tyreese, Daryl and Noah make a plan to get into the hospital to save Beth and Carol. Rick wants a bloodbath if necessary, but Tyreese and Daryl push for an exchange of hostages, so they set a trap to capture one of the hospital cops. After a small shoot-out the plan is in motion, until Sasha lets down her guard for a second because her captive’s name was Bob (really?). Meanwhile Abraham is contemplating the meaning of life on the side of the road in the hot sun while Glenn, Rosita and Tara go fishing and Maggie tends to a knocked out Eugene. Michonne and Carl hang back at the church with Gabriel, who stupidly escapes under the church floorboards. Beth tries to save Carol when the cops want to take her off life support. A lot of setup, with little payoff. I understand episodes like these are necessary to move forward, but they can be underwhelming, because they generally skip character building, and leave wanting action that’s not delivered. At least the Walkers melded to the asphalt were gruesomely awesome. My biggest complaint, though, is that there has not been nearly enough screen time for Michonne this season. I felt like we were finally starting to get to know her last year, besides her being a badass, and this season, so far, she’s almost been pushed to the back. And now she was left behind from the Atlanta trip. I’m hoping she’ll face some intense action with Carl at the church. With the mid-season finale up next, I’m expecting big things. 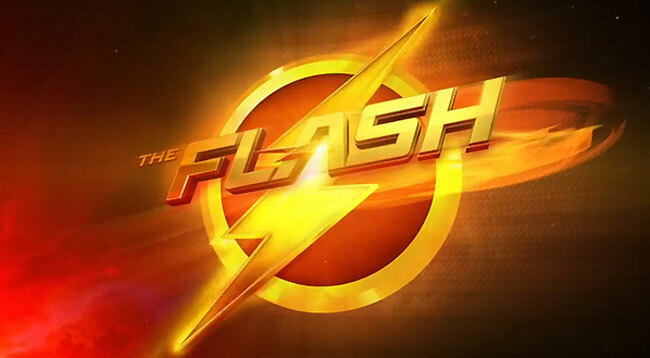 The Flash comes back after a fairly weak episode in a return to form. There’s a lot more speculation about who Dr. Wells really is and what his ultimate goal will be as he has a moment to show his true colors to Barry Allen. And yet instead of turning him away, it actually accomplishes Wells’ goal to convince Barry to push himself and his speed further so he will eventually be fast enough to break into the Speed Force and gain the ability to travel through time, or something along those lines. The villain of the week is Blackout, and I read quite a bit this week about how some people think that this show handled the being with electrical power much better than the Amazing Spider-Man 2 did with Electro. I’m not quite sure if I would go that far with it, though I did appreciate how well it looked with the lower budget effects. There is something that can be said for doing something as simple as having the lights turn on or off when he is near, or having the car be unable to start. I will say that while I did like the subtlety of the effects, the personality of Blackout as a villain left quite a bit to be desired. He was essentially personality-less, he was just a slowly walking force of nature with a singular purpose to destroy Dr. Wells due to the fact that Blackout blames him for the particle accelerator accident and the deaths of his friends. What did make this episode great were the other moments, like when Wells breaks out the metal bully from last weeks episode in order to create a diversion, knowing that he wouldn’t be able to do anything to stop Blackout himself. There’s also a great B-story with the Clock King who takes the police station hostage, including Joe, Iris, and Eddie. There’s a lot of great tension on that side of the story and I appreciate the fact that it didn’t completely spell out what happened, aside from the fact that Iris was able to get the upper hand with the Clock King and neither one of them had to die. There’s also, like I mentioned, a bit more intrigue into the ultimate plan of Dr. Wells and his connection to the Reverse Flash as Blackout was able to siphon Flash’s power, though it seemed like he wasn’t able to use it. I also loved the great moment of comic relief with the broken mug, as well as Iris’s callback to how much Barry liked it. There’s two things that this episode does well compared to many of the earlier episodes. It finally has a stronger glimpse of horror rather than just a creepy vibe, and even though I’m fond of her character, it’s nice to have an episode that’s just Constantine and a bit of Chas without having to deal with Zed this time around. There’s yet another malevolent spirit, this time it’s inhabiting the body of a child and causes them to kill their own parents via some bloody and gruesome telekinesis. The spirit then moves onto a new host, a young boy who is usually scared of the “monsters” in his closet and under his bed. But now, he becomes very Damien-like with the creepy stares and need to cause harm to those around him. As far as Constantine’s role in all this, there is a hint of his guilt for the child that he had sent to hell, but overall it’s just a basic detective story with a bit of magic and a bit of humor. There are a few more decent scary scenes than usual, but everything else seems to be a bit more by the book. There is yet another moment where Chas gets incredibly hurt, which makes me think at this point in the show there should be someone who shouts “Oh my god! They killed Chas! You bastards!” every time he gets mortally wounded. There’s also more talk about the rising darkness, but it’s also starting to feel more like an ever-present macguffin rather than any sort of tangible threat. It was still a decent episode overall, but there just wasn’t any meat on its bones. Until next time, this has been Bubbawheat for Flights, Tights, and Movie Nights. Posted on November 29, 2014, in TV Nights and tagged batman, DC, flash, television, tv. Bookmark the permalink. 3 Comments. Gotham went out with a big bang! Can’t wait for it to come back on next season. Not sure how it will be with the new story line, but it looks to be promising. I get that about Dent. Something isn’t exactly there with that character. It’s almost like they are trying too hard to sell him. It’s been rough going for a while, but I do think this midseason finale was the best episode so far. It’s weird that they haven’t announced when it will return considering how well it’s doing ratings-wise. My guess is probably late January, maybe early February. I guess if FOX has some new reality show they will probably delay the start until it’s over. I also get scared when there is no release date.